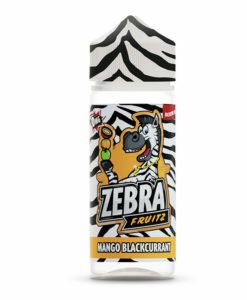 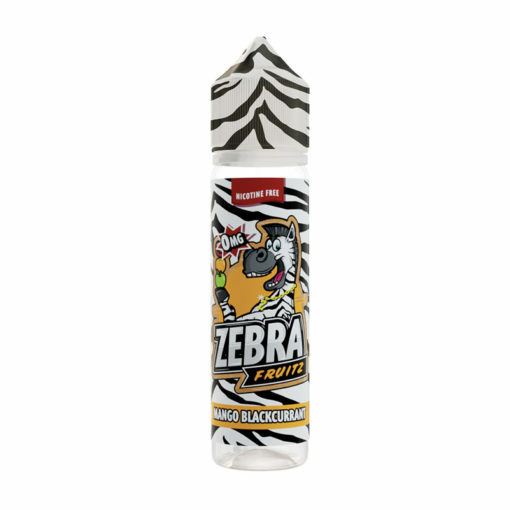 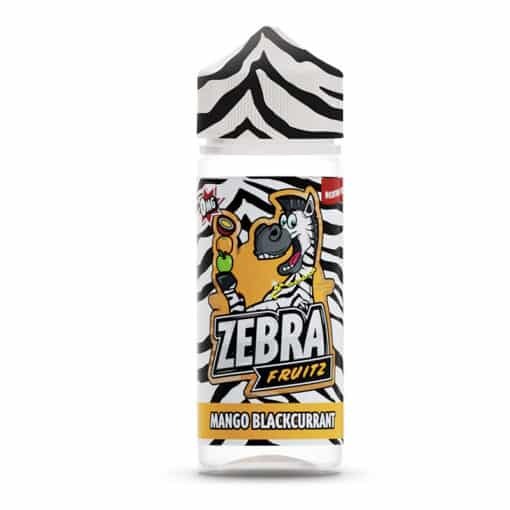 Mango Blackcurrant by Zebra Juice Fruitz. Experience a rich blackcurrant on the inhale cleverly separated by sweet mango on the exhale. 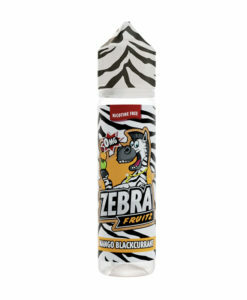 Available in a 50ml or 100ml short fill with enough room to add your own nicotine.